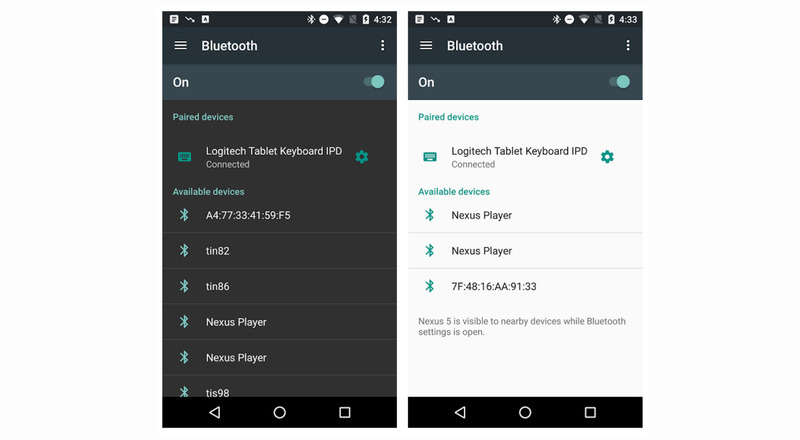 Two screenshots provided in an Android Developers blog post that details Support Library 23.2 may be showing us our first look at Android N. At first glance, not much has changed from Android 6.0 “Marshmallow,” but what you will see is an added Hamburger button on the left top hand side of a Settings page. Hamburger buttons are a shortcut that brings out a sliding menu usually filled with categories, and in this context, is probably being used to quickly access the entirety of the Settings menu for access to them within a settings page. In short, it’s Settingsception. In the post Google did not state whether we are looking at Android N or just a developer build of Marshmallow, but Android Police has confirmed that this is what Settings will look like on Android N.
Considering we already have a back button that would bring us to the complete list of settings, it’s not quite clear how the Hamburger will quickly benefit users, with the exception of somewhat quicker settings menu navigation. Google I/O is coming up in May, so we don’t have too much longer to wait to find out.